Both eggs and spinach have such incredible amounts of nutrients and protein and you should have this dish in your weekly or bi-weekly menu. You can cook this up for breakfast or for lunch. Add a slice of wholegrain toast and you have a fantastic meal. 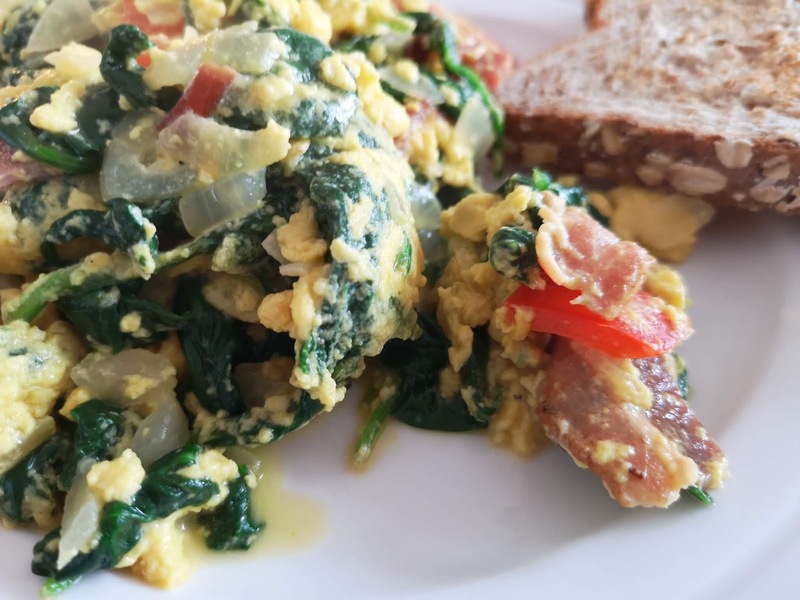 This dish is just a twist on regular scrambled eggs. The thing to keep in mind when you make scrambled eggs is to not overcook them. 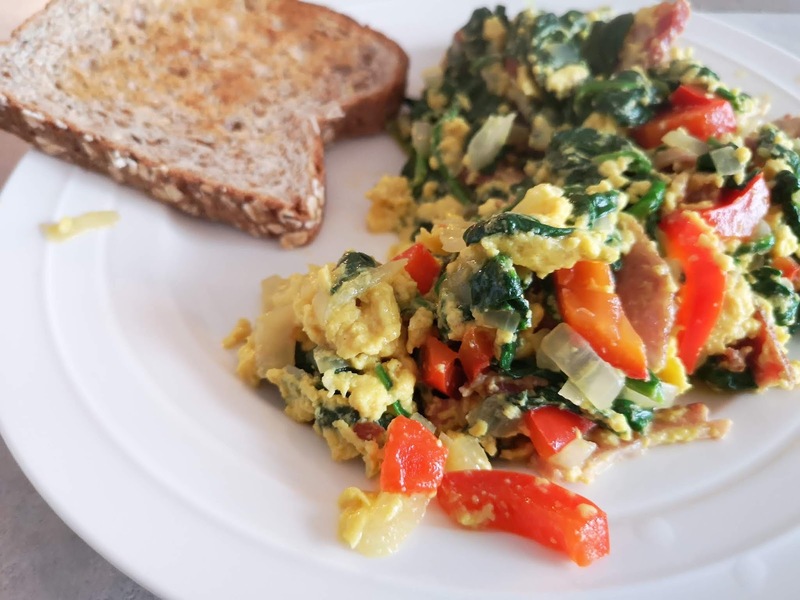 Scrambled eggs require 100% attention and stirring and tossing continuously, more on this below. Get all the ingredients ready and measured up exact. This is always the best practice and especially in this recipe. Over medium heat using a large frying pan and a curved spatula, melt the butter. 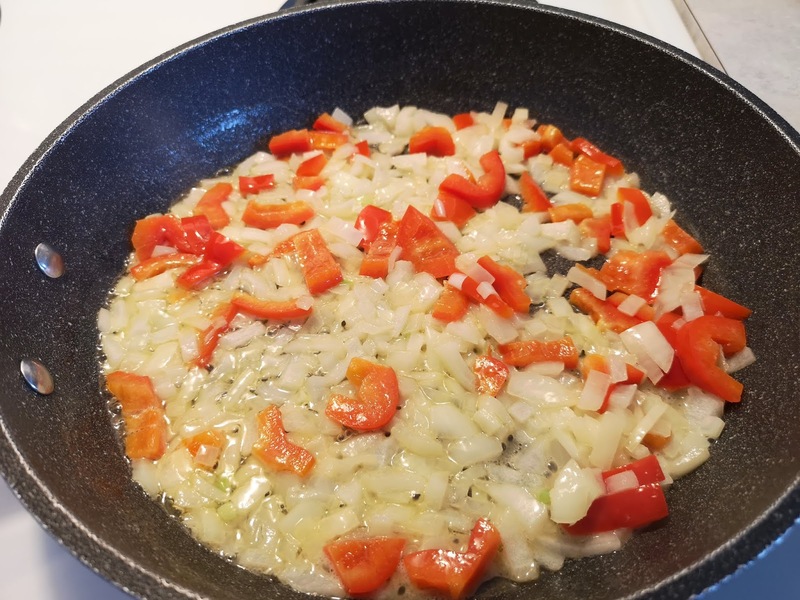 Once the butter is bubbling away, add the onions and red pepper. Saute for about 2-3 minutes then add the crumbled bacon. 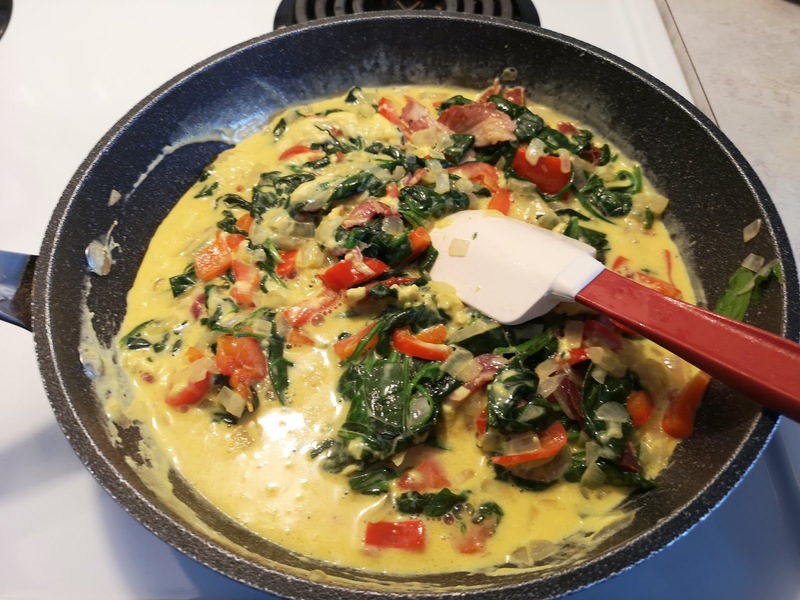 While the onion and peppers are cooking, crack the eggs into a medium size bowl, add the half & half, turmeric, salt and pepper. Whisk so it is mixed well. Continue to cook till the onions become translucent, another minute or two. Add the spinach (the pan will be almost overflowing at this point) and toss continuously till it is wilted down. 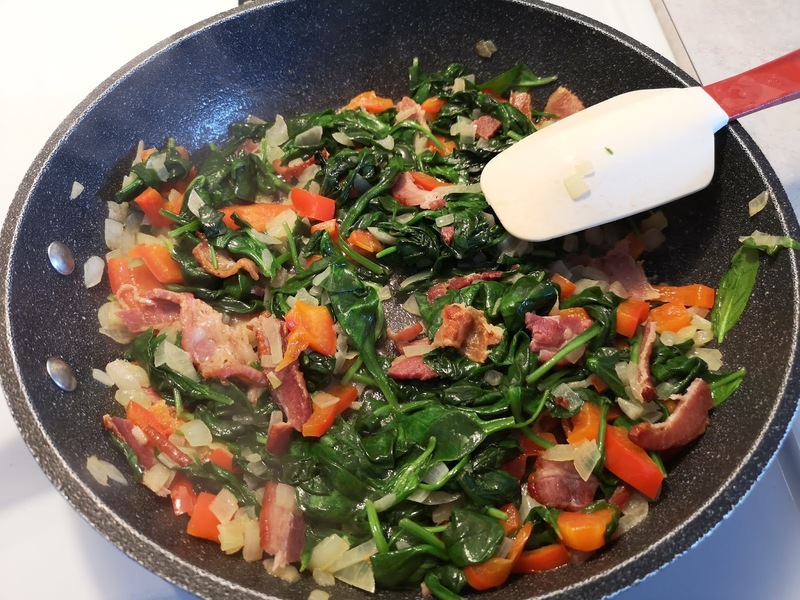 Once the spinach is wilted down, start your toast in the toaster; give the egg mixture another good stir and pour it into the frying pan over the spinach mix. Clean bowl with a spatula, making sure you get all the spices that may have settled on the bottom. Stir and toss at all times till the eggs are not runny annymore, but still shiny; they are done, remove from heat and serve immediately. Your toast should be close to done at this point.